Learning English has never been so easy. From now on the Ucom TV subscribers will find the short clips of the Word Party (for 3+ yrs. beginner learners), Crafty Hands (for 4+ learners), Art Land (for 5-10 yrs. learners), Kids in Action (for 7-10 yrs. 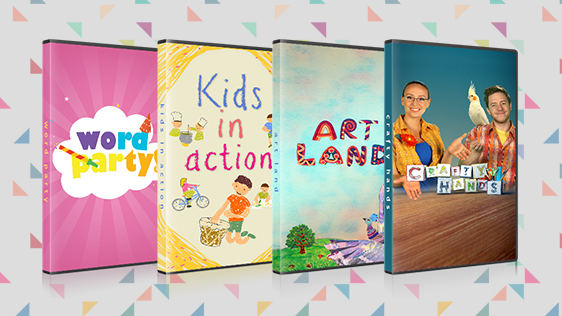 learners) TV programs in the VoD section, which will turn the English learning process into a fun game for your children. From the age of 3 children show active interest in the environment and try to make things with their own hands. While watching videos covering new themes, your wonderkids will not only deepen their knowledge of the English language, but also enhance their creative skills in handicraft. Encourage your children to grow up smart and creative.